Back in the days of past, special attention was given to the construction designs like pergolas, overhangs, porches and large casements to catch the breeze, but today, these age-old practices are being overlooked with the arrival of cooling contraptions. These cooling devices are an easy but very expensive(to your pocket as well as the environment) way to reduce the impact of the sultry heat waves of summer. Although their use can’t be completely dropped from our lives, but can surely be minimized with the adoption of smart tricks & construction designs. An abode receiving an optimum amount of heat and chill to keep winters warm and summers cool makes an ideal place to reside in. Keeping the sun’s path and prevailing wind patterns in view, orientate your house to get the most of the natural sources of energy. Orientate the largest dimension of the house towards north and south to avoid the heavy solar exposure in summers. 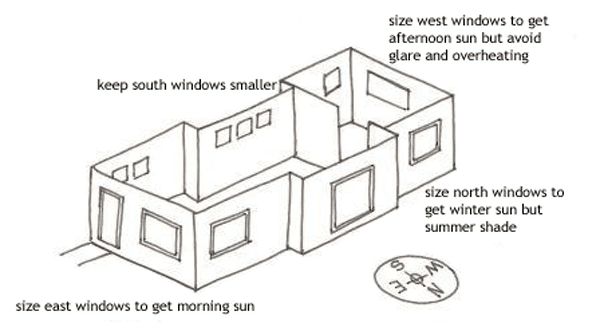 During the construction of your house, try that more of the windows face south than either east or west. Varying the size of the windows is also crucial for controlling the ingress and egress of the climatic elements. Proper insulation hinders the movement of heat between the two mediums. Insulating all the key areas like walls, windows, doors, ceilings and lofts would bar the entry of heat in the summers and cold in the winter. There are two main types of insulation methods: Bulk and Reflective foil insulation. Bulk insulation: It is the most common type of insulation that uses still air as the chief insulating material trapped within the structure. The structure can be made up of batts, boards and blankets. Reflective foil insulation: This kind of insulation uses a foil which simply reflects back the heat into the same medium. It is an ideal choice for warmer climates. An effective Cross ventilation system ensures that your house is properly cooled by maintaining a steady circulation of air from one side of your house to another. 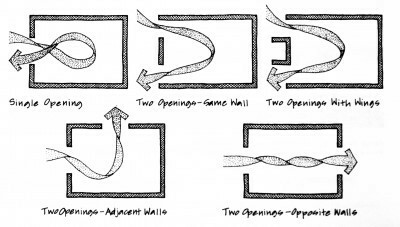 When constructing a building, make sure what the direction of prevailing winds is in order to fully exploit the benefits of cross ventilation. Design the sizes of the windows and doors carefully as their sizes impact the extent of cross ventilation. A reflective coat of any light color can be laid on the roof of a building in order to prevent the entry of heat into the building. Just how Ice/snow reflects UV rays instead of absorbing it, light-colored roof reflects the heat and keeps a building cool. 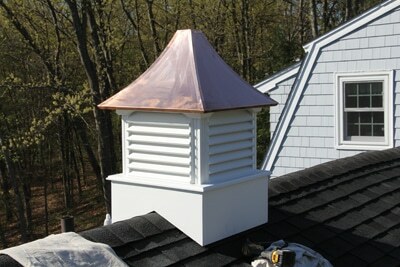 White lime wash is the most common roofing coat but it washes away in the rain and one has to reapply it every summer. Cupola makes a great addition to a house as it enhances the aesthetics, provides natural light and spews out the warm air in the summers. Its functioning is based on the Stack effect which comes into play when there is a difference in indoor-to-outdoor air density resulting from differences in moisture and temperature. Warm air rises up in the atmosphere and the windows or awnings provided in the cupola helps to throw out the warm air back into the atmosphere. A variety of roofing material is available to minimize the entry of heat into a house. Combination of scrap material like paper tube with clay tiles and ferrocrete and other alternative materials are known to have better thermal resistance compared to conventional tin sheets and RCC. Thermal mass is the ability of a material to absorb and store heat energy. 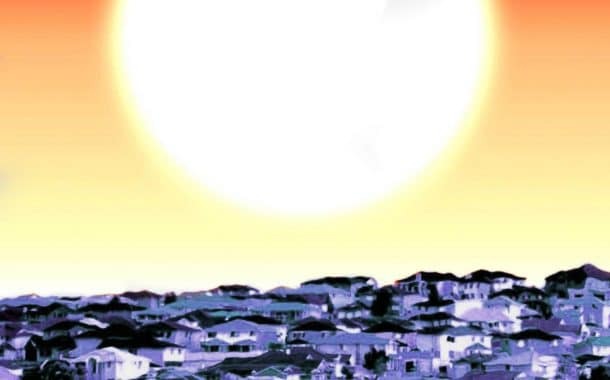 Materials used in the construction of buildings like brick, concrete and tiles generally have a high thermal mass and therefore absorb and emanate a lot of heat during the day time. 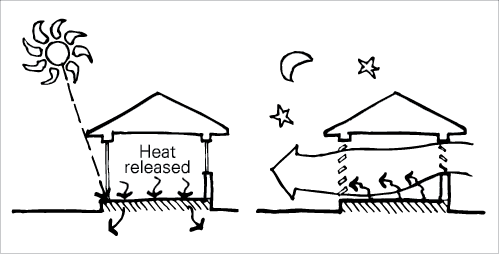 By using the material with low thermal mass such as timber, brick chimney, plaster walls or slate floor for construction this heat can be absorbed throughout the day and flushed into the environment in the night leaving a cool indoor all day round. Shadings in a building act as a barrier for the solar radiations infiltrating the building. They can be provided internally, externally or in between the internal and the external building space. A wide variety of shading devices is available right from canvas awnings to solar screens, roll-down blinds, shutters and vertical louvers. External shadings have proved to be much more effective than the internal shadings as they impede the path of the radiations right at the window. Akshay is a Civil Engineer who has been engaged in pile foundation projects for the last 5 years. Civil Engineering intrigues him but what intrigues him, even more, is the implementation of hybridized materials in construction projects. He is the author, editor and partner at theconstructor.org.